This year two very fortunate girls got Bamboletta dolls for Christmas. 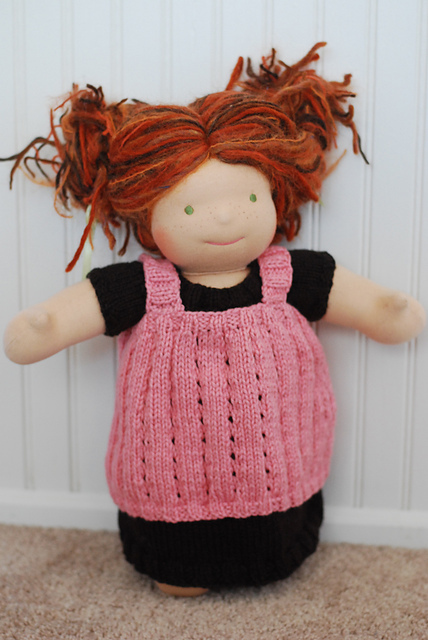 The rest of their gifts were handmade by their mother and father, including wooden doll beds, bedding sets and knit dresses and sweaters as well. Isn't this doll bed and quilt just adorable? Although the girls are almost getting to the point of no longer playing with dolls they are very excited about them and have played with them non-stop since Christmas. 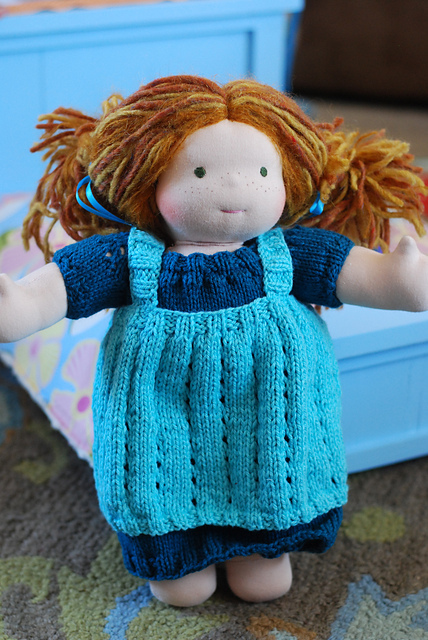 They both adore their handknit Polly Flinders dresses and love that they are able to change their dolls' clothing! Thank you to Linsay for sharing this sweet set of photos of your family with us! You can read Linsey's blog here. The Polly Flinders dress set is a free knitting pattern available here from Petite Purls. 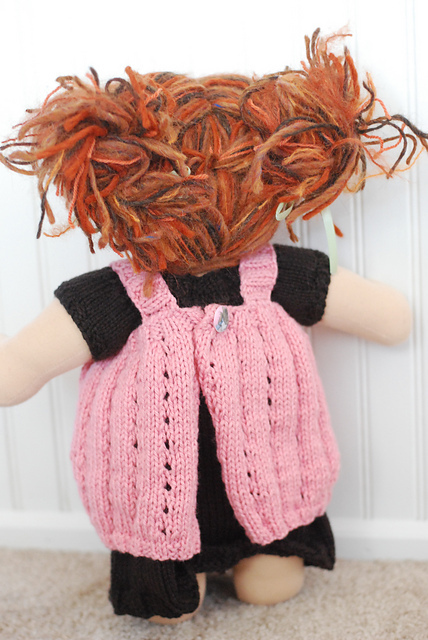 Thanks for the great pattern and knit love Joanna!